Nine Mile Creek Bridge on Hwy 169 between Bren Rd. 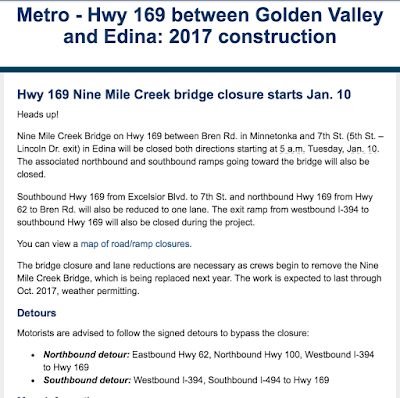 in Minnetonka and 7th St. (5th St. – Lincoln Dr. exit) in Edina will be closed both directions starting at 5 a.m. Tuesday, Jan. 10. The associated northbound and southbound ramps going toward the bridge will also be closed. Southbound Hwy 169 from Excelsior Blvd. 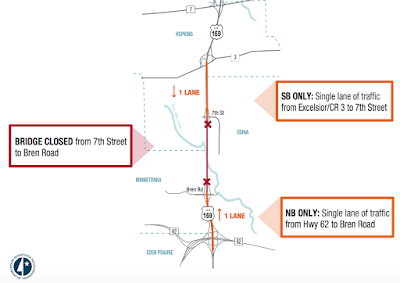 to 7th St. and northbound Hwy 169 from Hwy 62 to Bren Rd. will also be reduced to one lane. 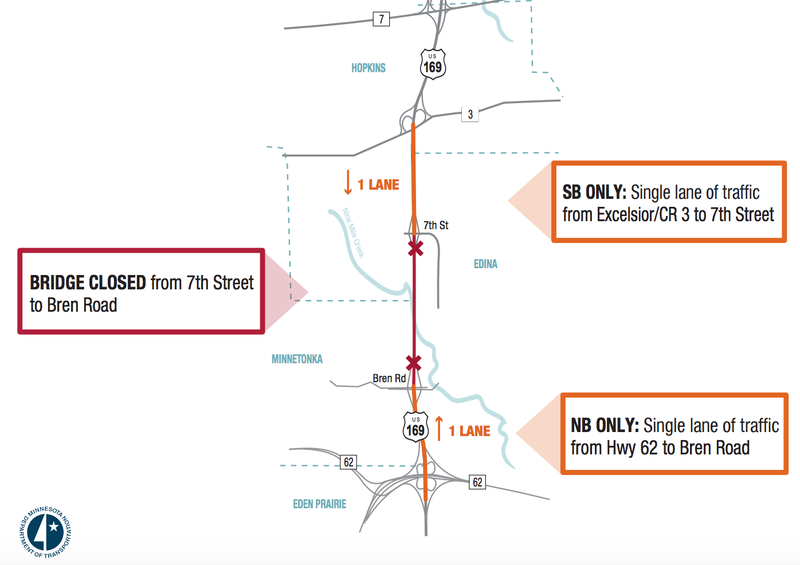 The exit ramp from westbound I-394 to southbound Hwy 169 will also be closed during the project. 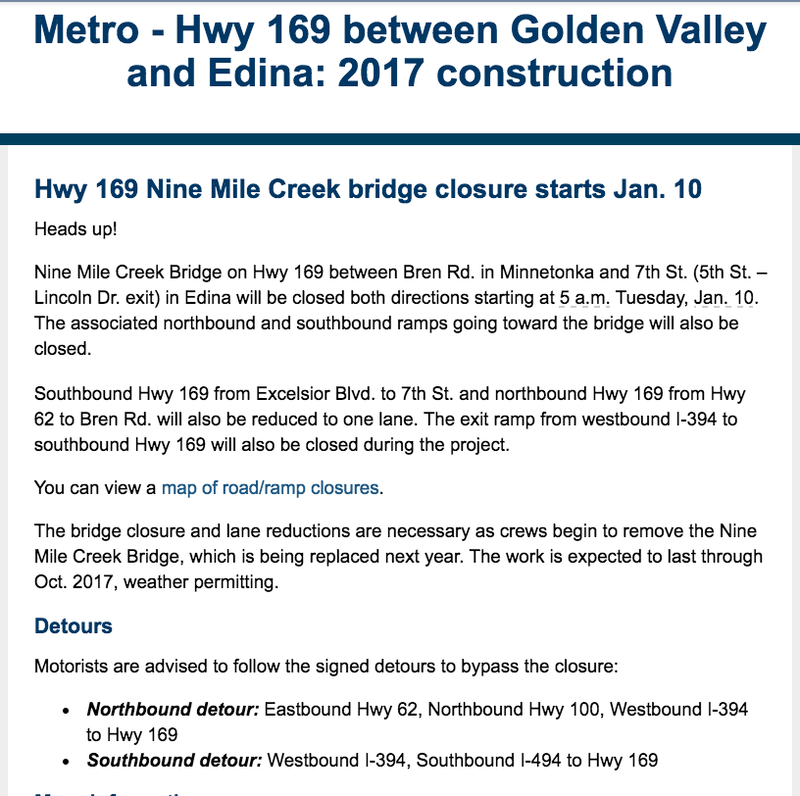 The bridge closure and lane reductions are necessary as crews begin to remove the Nine Mile Creek Bridge, which is being replaced next year. The work is expected to last through Oct. 2017, weather permitting. Comment: 10 months of traffic misery!